God’s forgiveness is unconditional and beyond measure. It flows from the abundance of his love for us . John 3:16 says, ‘’for God so loved the world that he gave his only begotten son, so that everyone who believes in him might not perish but might have eternal life.’’ And Jesus gave himself up for our sins: Matthew 26:28, ‘’this is my blood of the new covenant, which is poured out for many for the forgiveness of sins.’’ St. Paul explained this saying in Col. 2:13 ‘’When you were dead in in your sins and in un-circumcision of your flesh, God made you alive with Christ. He forgave us all our sins.’’ Hebrews 8:12‘’For I will forgive their wickedness and will remember their sins no more.’’ Example of God love and forgiveness: Luke 7:36-50, Jesus pardon the sinful woman, ‘’…I tell you, her many sins have been forgiven; hence, she has shown great love.’’ Woman caught in adultery was forgiven, (John 8:1). Parable of the lost sheep-Luke 15:1; Lost coin Luke 15:8; Lost son/prodigal son 15:1. 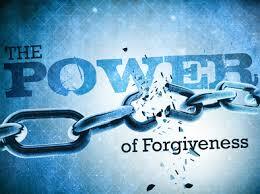 Christians and forgiveness-I believe forgiveness is a necessary choice that we must make to be truly happy in life. Refusing to forgive is disobeying God, selfishness, being mean to ourselves and others, and denying ourselves happiness. Matthew 18:21-22- Peter came to Jesus and asked, ‘’Lord how many times shall I forgive my brother when he sins against me: Up to seven times?’’ Jesus answered, ‘’I tell you, not seven times, but seventy-seven times’’. This means forgiveness is not a one-time issue. Forgiveness may be a life-long issue. You have to keep forgiving until you gain complete peace in your life. And complete peace is found only in union with God, and you cannot be united to God without forgiveness. Col. 3:13 says, ’’Bear with each other and forgive whatever grievances you may have against one another. Forgive as the Lord forgave you.’’ If God does not withhold our forgiveness, why should we withhold the forgiveness of another? Praying for forgiveness– When you pray, God gives you the grace to ask for / to forgive. The spirit of God destroys the wall (arrogance)/ the spirit of un-forgiveness in our hearts. Prayers enable us to see things in God’s perspective. We come to see that person, who wrongs us, the way God sees him/her. God does see sinners as precious people and he still loves, and is ready to forgive them at any time. Prayer also makes us realize our own sins and makes see that we too need forgiveness. Posted on September 15, 2014, in Uncategorized and tagged catholic, charismatic prayer, christian, church, forgiveness, fr. joel bako, god, holy family, irving tx. Bookmark the permalink. 1 Comment.